Canopy of Voices is an exciting new community singing project by local arts organisations Huddersfield Contemporary Music Festival (hcmf//) and Manasamitra, concluding in a public performance on Saturday 24 November 2018 in St Peter’s Church, Huddersfield as part of hcmf// 2018. 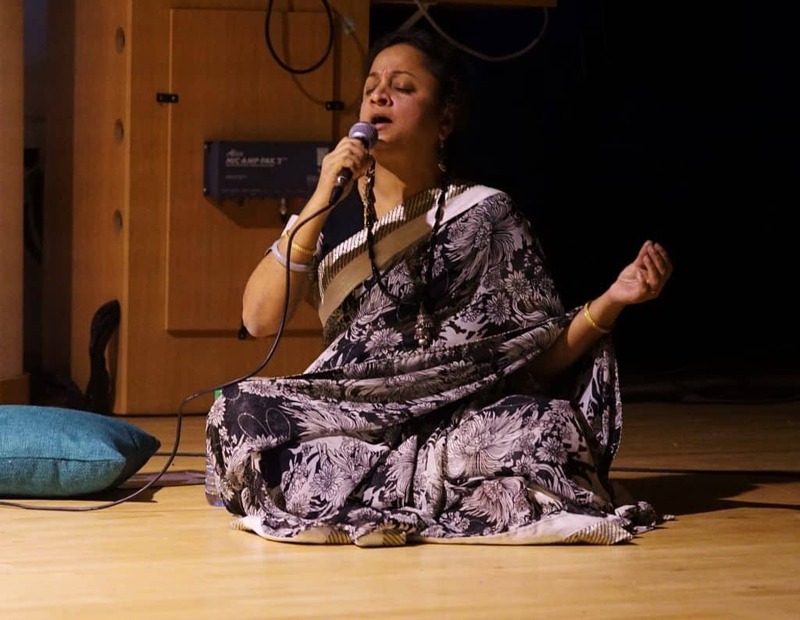 Ahead of the performance, an established choir leader will lead a series of inclusive, fun sessions with your group, focusing on spirituality and the connections between Contemporary and Indian Classical music. At the end of the project, all the participating groups will come together to rehearse, giving you the opportunity to connect and collaborate with other singing groups in your community. hcmf// is an annual, international festival of contemporary and new music, taking place over 10 days and consisting of approximately 50 events – including concerts, music-theatre, dance, multi-media, talks, films and community events. Manasamitra is a South Asian artist led company based in West Yorkshire. Its ambitious work, rooted in classical Indian traditions, is inspired by an intercultural vision which merges the best musicianship, vocals, dance and storytelling from diverse cultures, into dynamic artistic collaborations. If your group is interested in taking part in this unique project, please contact hcmf//’s Learning & Participation Officer Alexandra Richardson at alex@hcmf.co.uk or 01484 471116.